Industrial equipment is our specialty at LawnEQ. Not only do we have the biggest selection, but we also care the most popular brands and offer the most competitive prices you will find anywhere. When you need industrial repair parts and equipment, there's only one choice: LawnEQ. That's why we're one of the leading suppliers or industrial parts and equipment in the US and beyond ... and we keep getting bigger all the time. So don't waste another minute with worn or broken industrial parts or equipment. Get exactly what you need at LawnEQ. 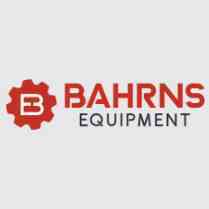 If you can't find what you're looking for, call us at 217-342-2909 or email us at lawneq@bahrns.com and let us help you find the industrial parts you need.